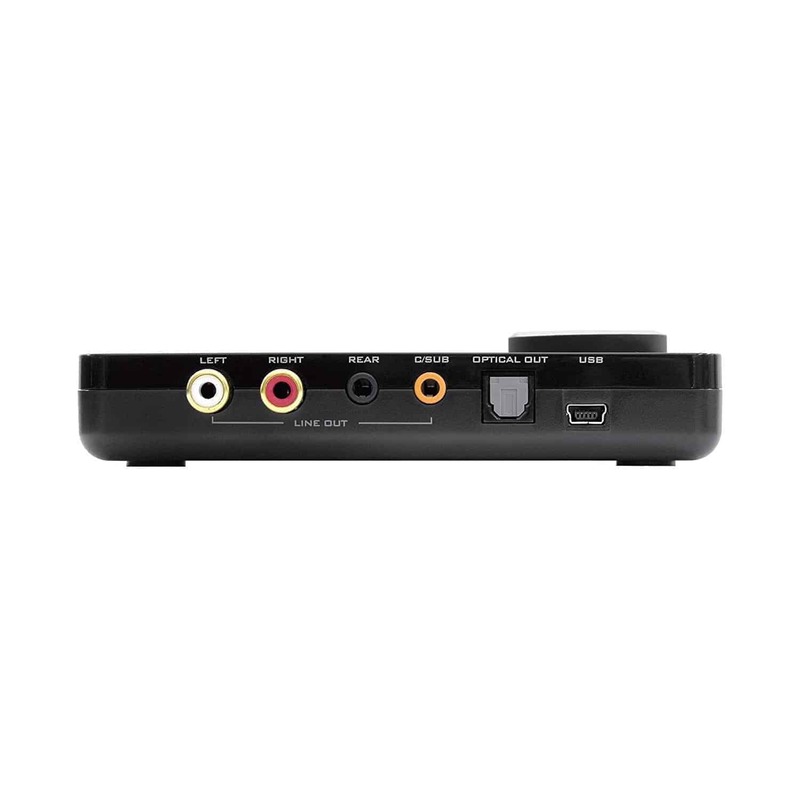 External USB Sound Blaster sound card with SBX Pro Studio for notebooks and PCs. Sound Blaster X-Fi Surround 5.1 Pro turns your PC or notebook into a 5.1 entertainment system, featuring SBX Pro Studio technology. Easy to install, it replaces low quality on-board audio with high quality connectivity options and remote control. A convenient volume control knob, headphone and microphone inputs for a headset are also close at hand. Sound Blaster X-Fi Surround 5.1 Pro turns your PC or notebook into a 5.1 entertainment system, featuring SBX Pro Studio technology. 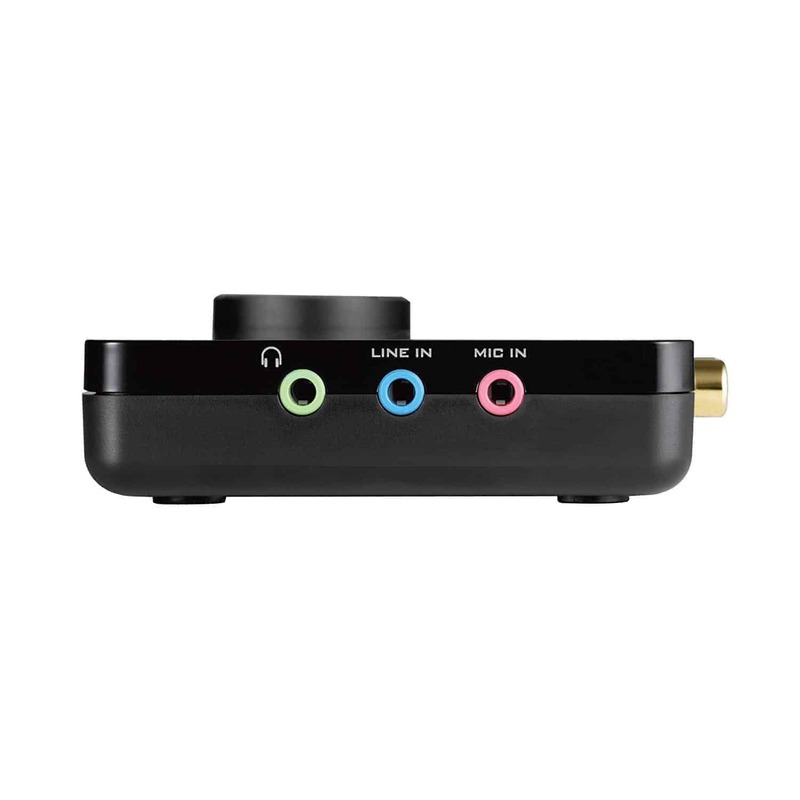 Easy to install, it replaces low quality on-board audio with high quality connectivity options. A convenient volume control knob, headphone and microphone inputs for a headset are also close at hand. SBX Pro Studio delivers the fullest audio experience for music, movies and games, while remaining true to the source and intention of the artists who created it. 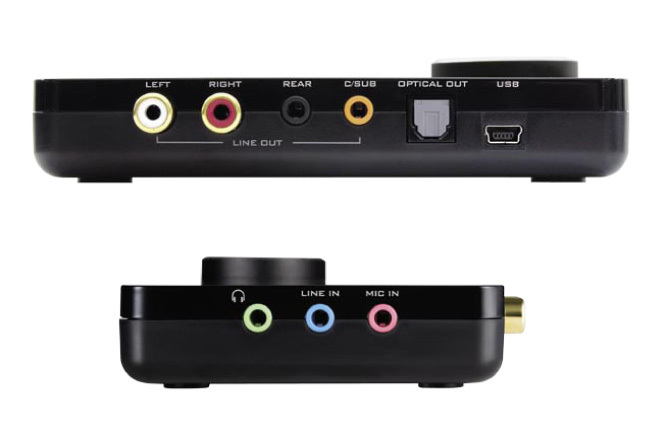 Dolby Digital Live connects to your decoder or home theater system through a single digital cable for compelling 5.1 surround sound from any source. Windows Vista and above are required for Dolby Digital Live. Cyberlink PowerDVD 10 software (free download) with DTS® and Dolby Digital®-EX decoding delivers an unbeatable DVD movie experience. High-quality, gold-plated RCA stereo and optical digital out for the best audio performance, plus convenient microphone and headphone jacks for internet chatting. Easy to install, the bus-powered USB 2.0 Sound Blaster X-Fi Surround 5.1 Pro does not require an extra power adapter. We have updated audio drivers that will allow you to enjoy the ultimate in Sound Blaster performance in Windows 8. Click here to download the latest drivers. Plugged in and around 30 seconds later you are ready to rock and roll with the system making a noticeable difference to the music we played. Because there is a soundcard included within the box of tricks any sound you output from your PC will be enhanced rather than just music. The X-Fi 5.1 Pro sounds good and its software makes the most of your games and movies. 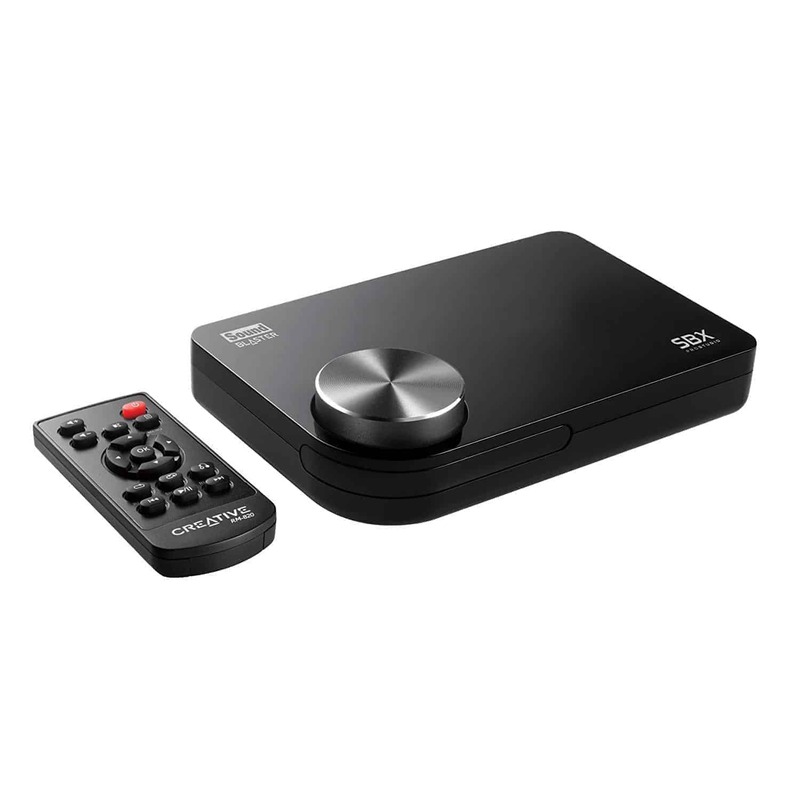 If you’re after a reasonably priced 5.1 multimedia sound card to use with your laptop, this is a great buy. 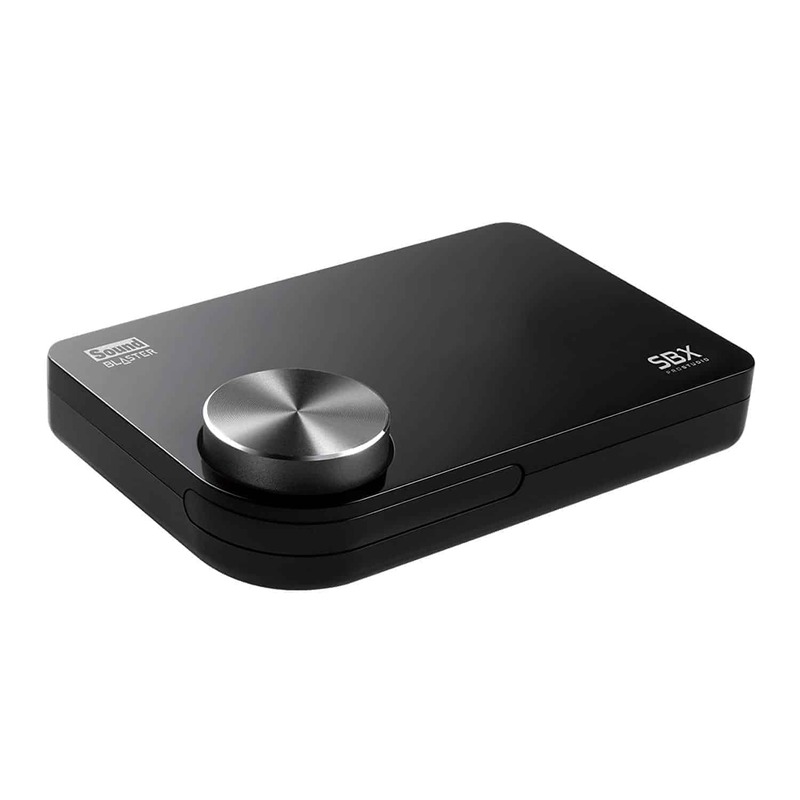 A great little external sound card with quality audio. Simple to install and easy to use interface. The only short-fall is that there is no through for digital I/O which would of been handy for ‘daisy chaining’. All-in-all a product I’d recommend. Sound card is very good. Bought it for my friend and its perfect gift.